You are currently browsing the category archive for the ‘Working Harbor Committee’ category. 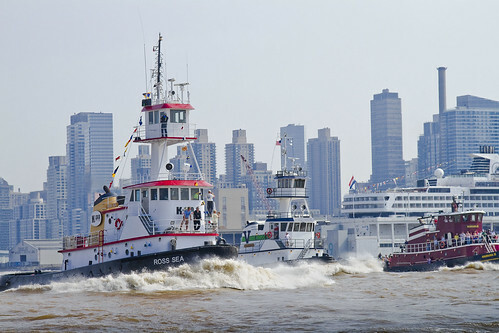 The 24th annual Great North River Tugboat Race & Competition will take place on Sunday, 9 October, 2016, at Pier 84, West 44 Street and 12 Avenue in Manhattan. 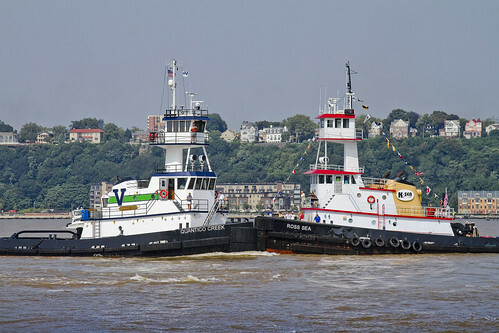 See our mighty tug friends compete on the Great North River, some of you might call it the Hudson River, in a massive show of strength and agility! 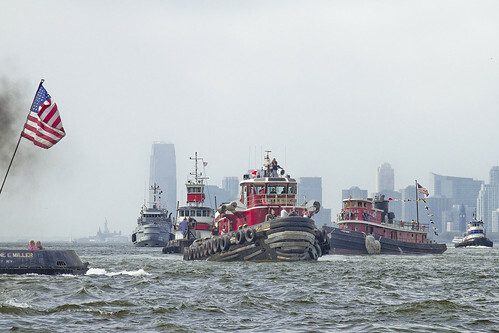 Our spectator boat departs Pier 83 (W. 43/12 Ave) at 9:30 am sharp, so we can get in the best spot for the parade of tugs. Come race time, the spectator boat races alongside the tugs, you’ll be close enough to get splashed by the spray kicked up by the racing tugs! For this excellent vantage point, get tickets for the spectator boat here. 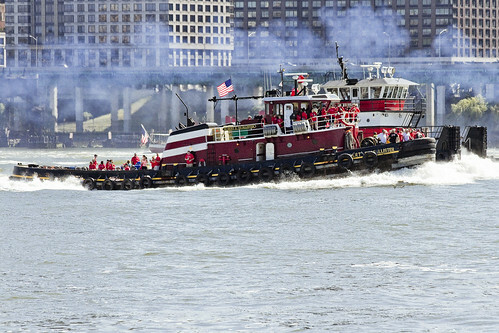 The Parade of Tugs starts things off at 10 a.m., you’ll get to see all the tugs and other participating vessels shake their shimmy on the Hudson before the big line up for the race. After the speed event, the mighty feats of strength competition begins where the tugs face-off nose-to-nose in a pushing contest. 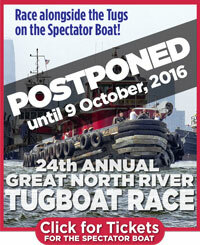 Watch the tugboaters, their families and crew get into the spirit with a dash of friendly rivalry and tons of fun. 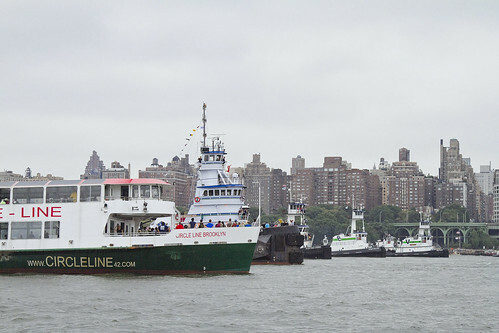 Come ashore for the pro line-toss competitions and cheer on your favorite tug-teams! 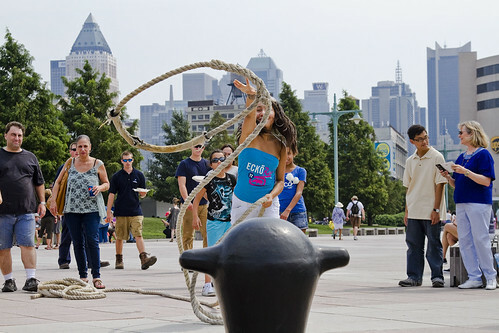 We’ll also have amateur line-toss contests on the pier for both adult and kid divisions. See if you have a future career as a deckhand! 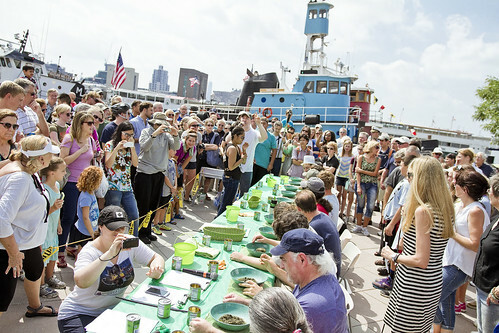 And of course, don’t miss our popular spinach-eating contest! You’ll have a bunch of top competitors to beat – last years winner of the adult division downed the spinach in just 8 seconds. Better get practicing… ! 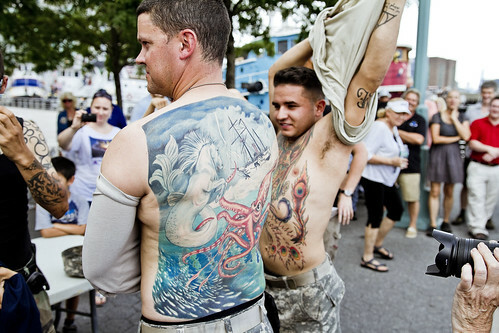 There’ll also be mascots, and tattoos and sailors, oh my! And lots and lots of fun for kids young and old! 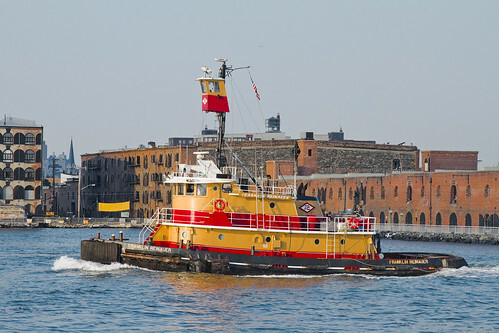 See you at the tugboat race – Sunday October 9th at Pier 84! 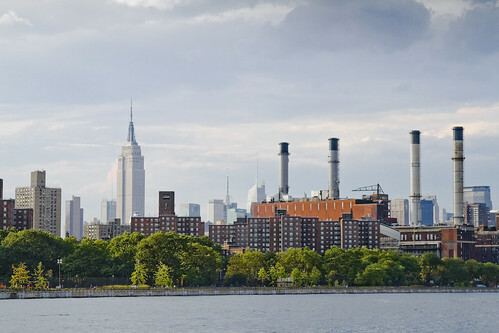 This Thursday, 15 September, tour 8 miles of Brooklyn’s waterfront industry, from Newtown Creek to Sunset Park on our Brooklyn Waterfront Past & Present Hidden Harbor Tour®. The 8 miles of Brooklyn shore facing the Harbor’s Upper Bay were once filled with manufacturing, shipping, and commerce. 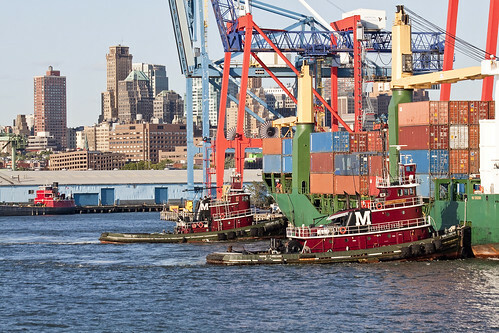 Though apartment towers and landscaped parks now capture attention, Brooklyn still retains active trade and maritime business. 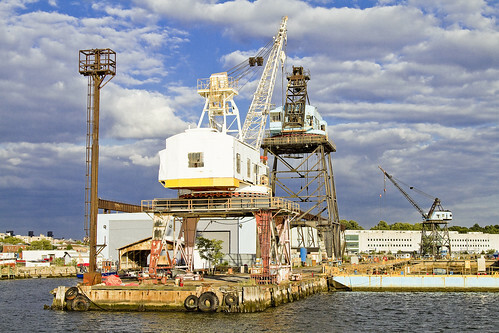 Join Working Harbor Committee for a tour of Brooklyn waterfront industry, past and present. 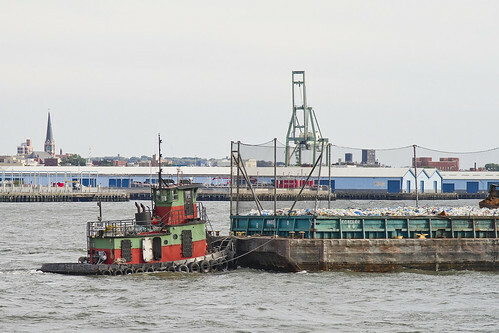 Highlights include Brooklyn Navy Yard, the city’s new waterfront recycling facility at Gowanus Bay, and the working rail-to-barge connection at Brooklyn Army Terminal. 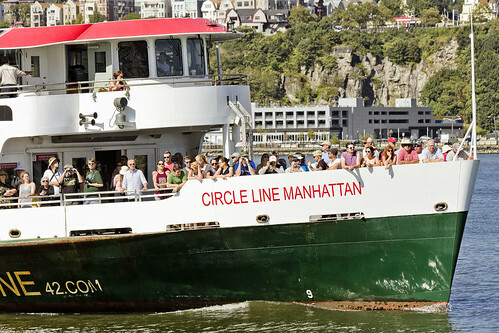 The 2-hour, fully narrated boat tour departs at 6:00pm sharp from Pier 11 Wall Street in Manhattan, on South St. between Wall St. & Gouveneur Lane on Thurs. 15 Sept. Boarding begins at 5:30 pm. Snack bar on board.